I’m midwestern-raised. I love corn. I don’t do phony shots of corn with the husks still on – I can de-huskify a cob in five seconds flat, and find them quite annoying. 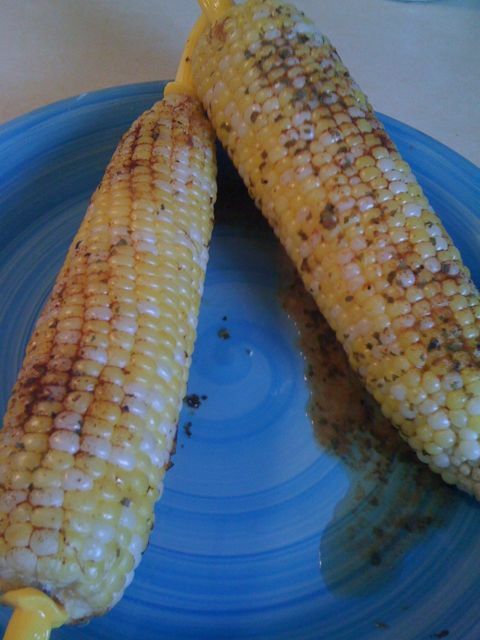 What you will see, is my corn on my plate right before I dive into it… nose first. Preheat your oven to 400 degrees. Grab your butter, and toss half of your chili powder and all of your cilantro on top. With a butterknife, blend it all in together. It’s ok if it’s not perfect. It’s food. It doesn’t need to be. It’s all going to the same place, right? i didnt have cilantro, so dashed some garlic pepper on it. Thanks for sharing!! 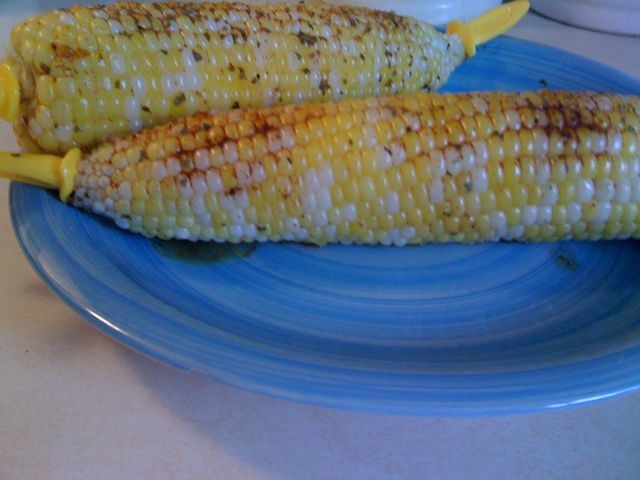 I looove fresh corn and it’s on sale at our local grocer…I know what I’ll be chowing down on this weekend!! !